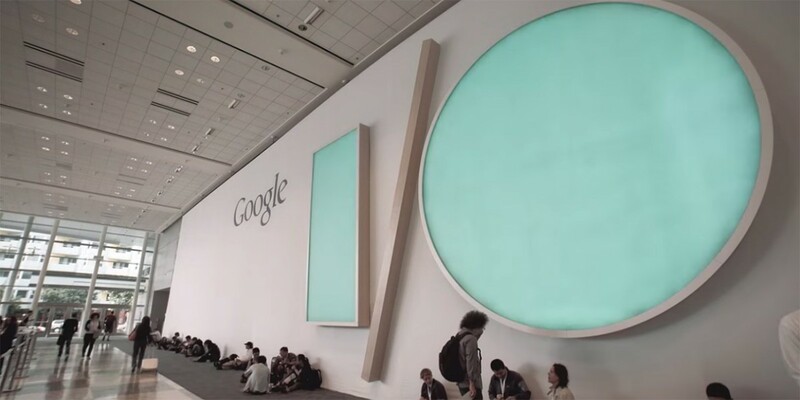 Google I/O is two days away, but there have been very few rumors about what we may get from this year’s event. Nobody seems to have much of a clue as to what will happen, which is either Google playing its cards close to the chest, or having a bad hand. To tune in to the keynote, you can watch the livestream via Google’s Developer YouTube page or on its official I/O site. But what will you see here? Here’s what team TNW is looking for. At CES, Google and Lenovo teamed up to announce its first consumer device with Project Tango, a smartphone. Project Tango, if you’re unfamiliar is next-gen 3D mapping technology that can pinpoint your location down to several inches. Unlike traditional GPS — a tool useful for getting you to a building — Project Tango can help you accurately navigate inside. Due to the more precise measurement, it also features some truly amazing augmented reality functionality, such as the CES demo that showed off the ability to re-decorate an apartment, down to which refrigerator — and what type of ice (crushed or cubed) it made. It’s been a few months since we’ve seen the initial demo, and it’d be nice to hear more about the smartphone planned for this summer, as well as find out more about additional mobile devices that might have the tech behind Project Tango included — maybe the new Nexus? We already know HTC and Google are likely partnering on at least two Nexus devices this year. It’s not clear whether these will be two phones or a phone and a tablet – but there will definitely be at least one handset. The phone will probably going to be to be an amalgam of the current HTC 10 and last year’s Nexus design philosophy. That means an all-metal design – possibly even those extra-chamfered edges – but with a fingerprint sensor on the rear instead of the front. The space where the fingerprint sensor was will probably be occupied by a second speaker, keeping the stereo audio Google has maintained in all its devices since the original Nexus 6. The company might also prefer to move to AMOLED instead of HTC’s usual LCD technology. That said, it’s hard to say how Google will differentiate it from last year’s Nexuses other than the usual spec-bump. 3D-touch-like pressure sensitive displays seem to be out of the question, but VR will likely once again be in the limelight. I’d like to see a faster display refresh rate and lower latency, making the Cardboard platform more competitive with Samsung’s GearVR. It’s also a good opportunity to move towards a 4K display, as VR’s magnified image is pretty much the only reason such a high resolution would be useful on a phone. Unless you have a Gear VR, the world of Android VR is really limited. Cardboard is cool, but ultimately limited due to its form-factor which requires you to hold it to your face. When a rumor popped up that Google was working on a standalone Android VR headset that was specced to fit between a Gear VR and Oculus, it seemed like a no-brainer. Even though Sundar Pichai seemed to be holding back laughter when he introduced (and gave out) Cardboard at I/O 2014, the company has been serious about it. The real question is how good it will be. Reading the rumor tea leaves, “better than a Gear VR” means better than a Galaxy S6, which logically means Google is slapping next-gen Android phone specs into a headset. That’s exciting. It’s also exciting to see Google push the envelope on VR for the masses, even if its motives are just monetization. VR is best experienced through games, and Play Store games make a lion’s share of the app revenue. We’ll be looking out for one key metric, though: pricing. If Google can make a really good VR headset for $300 or so, it’s a no-brainer. If it’s asking $500 or more, consumers will be forced to consider other options that are ultimately better. Google I/O is a great time for the company to finally unveil that Echo competitor product rumored for months now. Code-named ‘Chirp,’ it’s the product that Google should have made long before Echo took over the in-home AI assistant market. After all, it’s arguably superior at search, it’s got a decent shopping branch, and it already has plenty of third-party partnerships. Plus, Google Now is great for tying all your accounts into one place for glances at your schedule, commute, weather forecasts, and more. Echo, meanwhile, still can’t even tell me the price of a Kindle when asked. An Echo-esque Chirp alone would be exciting to see come out of I/O, but it would be even neater if it somehow managed to build its OnHub router into the device for an assistant that is truly multi-functional. If we’re gonna let Google into our homes, might as well embrace what it could do in addition to answering a few trivia questions. Android Pay could officially launch its voice payment thing, but we’ll likely hear news about partnerships Google has formed. Android N should also play a part, but Google is developing it in the open now, so there’s not much to anticipate there. Google has a lot of interesting stuff going on; the thing is, none of it seems ready for prime time. Even Android Wear seems to have stagnated. If you’re looking for a wildcard, Android apps working on Chrome OS is a good one. A recent discovery suggests Google will allow its desktop system to utilize Android apps, which feels like something that could be really useful, especially in schools. Whatever happens, we’ll be on the ground in Mountain View bringing you the news.